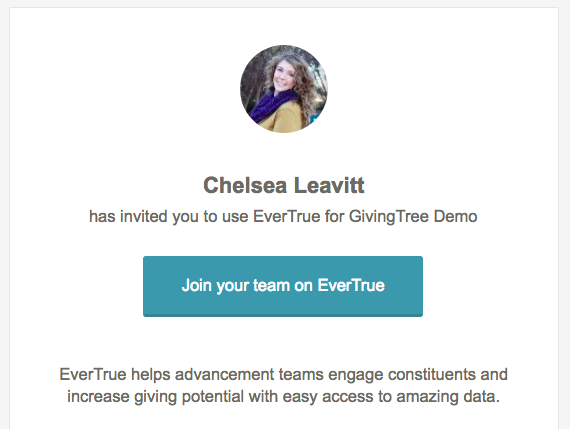 Once you have received your email invitation* to join your team on EverTrue, it is a breeze to get started! Simply click "Join your team on EverTrue" and you will be re-directed to EverTrue for your first login. The page will prompt you to either "Sign in with LinkedIn" or authentic with your institution's SSO provider, then connect with LinkedIn. Feel free to use your personal LinkedIn credentials - we promise we don't take any sensitive information (read more here). 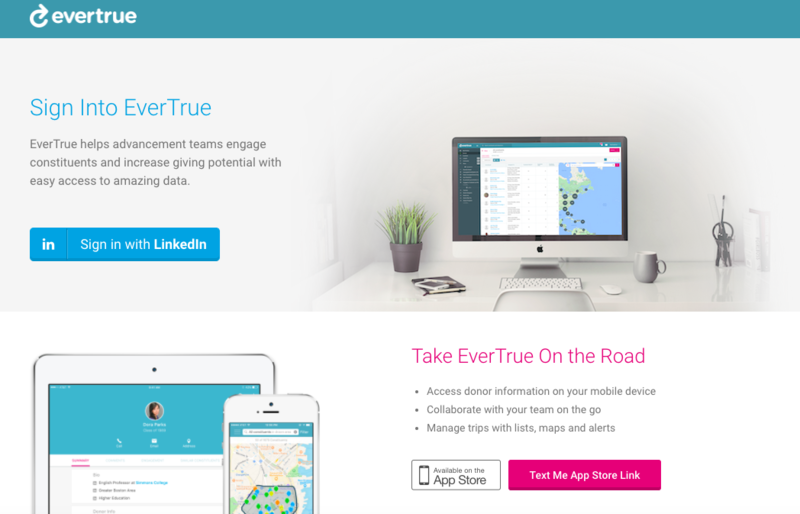 After logging in, you've made it - welcome to EverTrue! We suggest you bookmark app.evertrue.com for easy reference. If you encounter any issues accepting your EverTrue invitation, please reach out to Customer Support at genius@evertrue.com. *Haven't received your invitation to join? Ask the administrator of your organization's EverTrue account to send you an invitation via email!